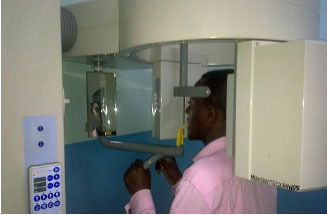 The School of Dentistry is one of the five schools of the Muhimbili University of Health and Allied Sciences (MUHAS) which became a fully fledged University in 2007. 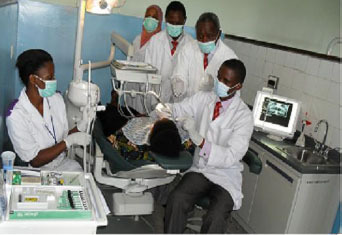 The school started as a Division of Dentistry within the Faculty of Medicine of the University of Dar-es-Salaam in 1979, after a felt need for production of Tanzanian dentists who were suitably trained to address oral health problems of Tanzanians. Currently the dentist: population ratio in Tanzania is about 1:120,000 people compared to a ratio of 1:7,500 people that is recommended by the World Health Organization (WHO) in developing countries. 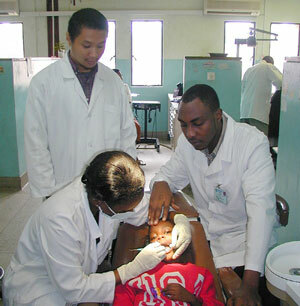 The school rendered services to the public include all levels of the oral health service structure. Besides curative services in oral and maxillo-facial surgery, conservative dentistry, endodontics, prosthetics, periodontology, paediatric dentistry and orthodontics, preventive services also prevail. Increasingly, the School is getting involved in the training of undergraduate, postgraduate students and Doctor of Philosophy(PhD) . We hope to become a center for training in the area of dental biology. Copyright © 2013 - School of Dentistry - MUHAS Tanzania. All rights reserved.